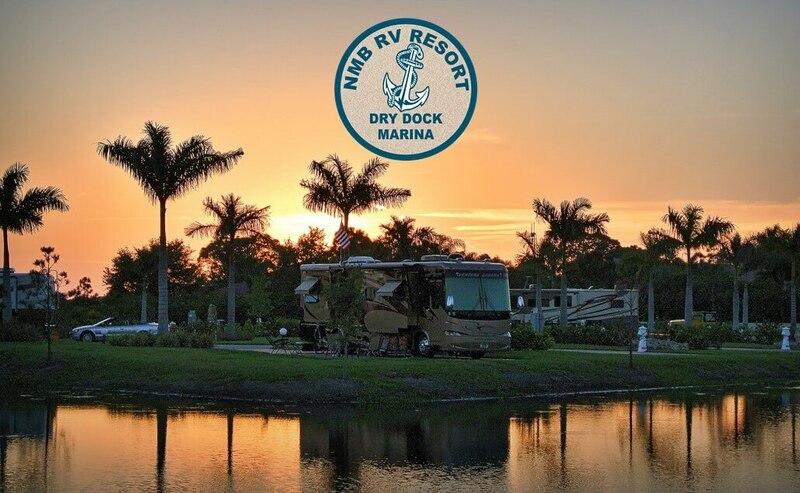 North Myrtle Beach RV Resort, Dry Dock and Marina is not your typical campground and marina. The Resort is located on the beautiful Intracoastal Waterway, at mile marker 348, in the quaint town of Little River South Carolina. Little River is the oldest and one of the most unique towns along the greater Grand Strand. Known for its fresh seafood, fishing charters, annual blue crab festival, and historic centuries-old live oak trees, it is one of the last communities on the Grand Strand where a slower pace of life still exists. 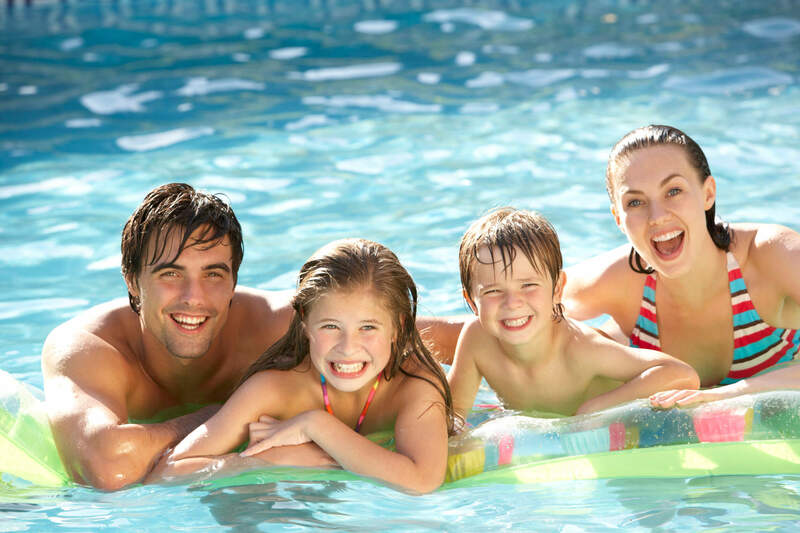 Our Resort is a one of a kind offering in the Myrtle Beach area with something for everyone. 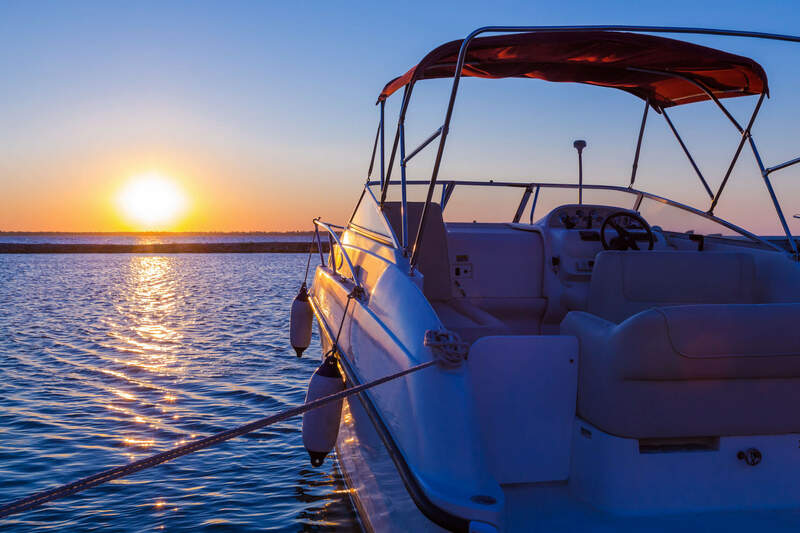 With extra large paved campsites, 38 wet slips to dock your boat, boat and jet ski rentals, fishing, and a pristine luxurious oversized swimming pool with a 150 foot waterslide, you may not want to leave. North Myrtle Beach RV Resort is about 13 miles to the north of the hustle and bustle of Myrtle Beach, so campers and visitors alike share more peaceful days in this quaint fishing village town. 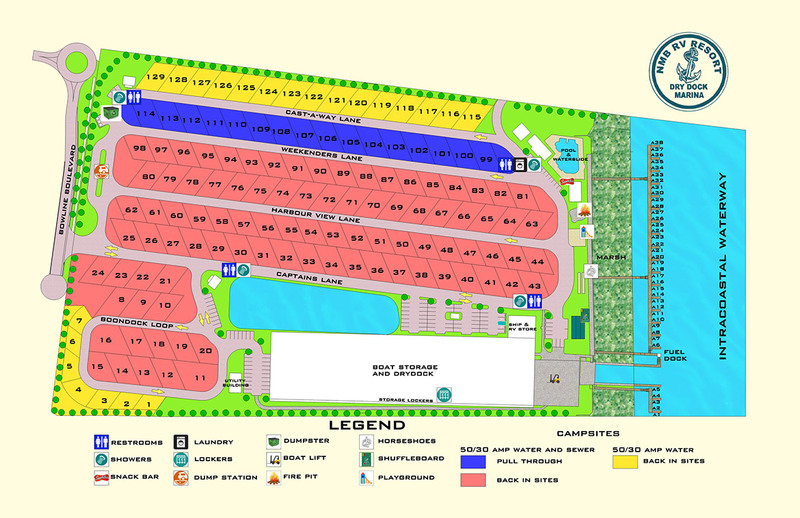 If you care to venture out, North Myrtle Beach RV Resort is just a short drive to all the Grand Strand's famous attractions, signature golf courses, unique variety shows, shopping outlets and world-class entertainment. 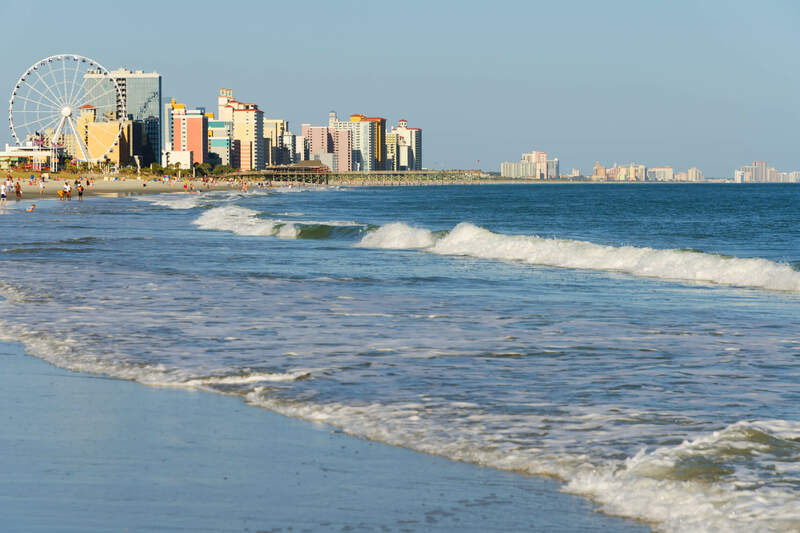 You can have all the excitement of Myrtle Beach during the day and a quite place to come home to at night.